We repair all models of Zanussi Freestanding, Integrated & Built-in, Chest and upright Refrigerators, Freezers or Fridge Freezers click here for more information. 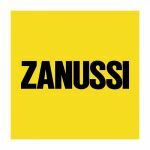 We repair all models of Zanussi Freestanding, Integrated & Built-in Dishwasher click here for more information. We repair Zanussi Waste / Garbage disposal unit click here for more information. We repair Zanussi Cooker Hood click here for more information. We repair Zanussi Freestanding, Integrated & Built-in Washing machines, Dryers & Washer Dryers click for more information. We repair Zanussi Gas & Electric Freestanding, Integrated & Built-in Cookers, Ranges & Hobs click for more information.